At Bill Bowman Marketing, we are incredibly proud of our mobile app development services and have helped countless businesses to develop applications that represent their company and help them to extend their service. 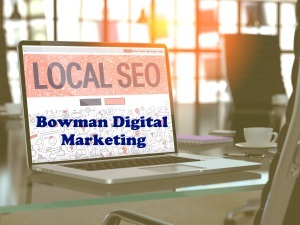 Why Choose Bill Bowman Marketing? If you’re looking for top-tier mobile app development that can compete with the biggest players in your niche, then look no further than Bill Bowman Marketing. We offer app development that is reliable, smooth, intuitive and beautiful so that your apps will really help to promote and sell your business. At Bill Bowman Marketing we can handle mobile app development on all the major platforms including iOS, Android and Windows Phone. Our apps are fully functional, meaning that we don’t use app builder software but hard code them in order to provide full functionality and stability.